Straddled with high inventories and facing low consumer sentiment, the domestic automobile industry in India is bracing itself for a slowdown triggered by a tepid festive season that began earlier this week. Typically the months of October and November that witness the twin festivals of Navratri and Diwali ring in over a quarter of the annual sales for passenger vehicle manufacturers but the start has not been very auspicious this year. 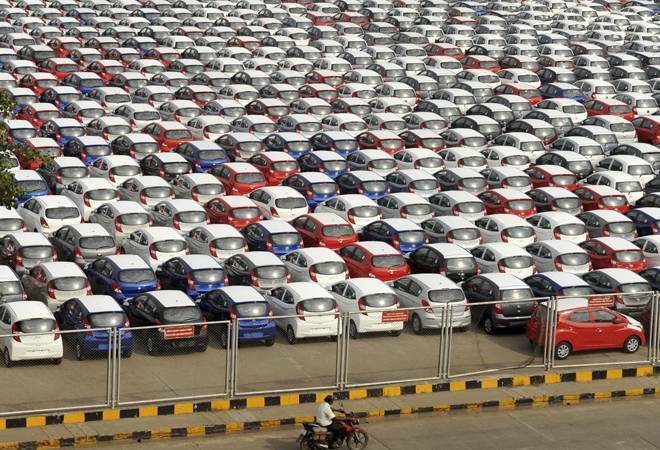 Industry body Society of Indian Automobile Manufacturers that collates sales data every month on Friday said sale of cars dropped by 5.6 per cent in September while that of SUVs went down by 8.3 per cent over September last year. This was the steepest decline in a month since June 2017, when dispatches were artificially low due to the roll out of a unified Goods and Services Tax in July 2017. This was not a one off either. Sale of passenger vehicles that comprises of all cars, SUVs and vans sold in the country was down 3.6 per cent in the last three months that comprises the second quarter of this financial year. The last time when sales had declined for three consecutive months was back in 2013-14. SIAM maintained it hoped there would be a revival in the next one month but admitted high oil prices that inflates the running cost of cars and SUVs, and persistently high interest rates has dampened sentiments. "It is obvious there is a mismatch in demand and supply so the inventory is high in the dealerships," said Rajan Wadhera, President, SIAM. Wadhera is also the president of the automotive sector division at Mahindra and Mahindra. "In the run up to festive season, manufacturers stock up at the dealerships and if the sales are not commensurate to expectations there is a problem of inventory which would need to be cleared at some point of time," he added. The slowdown, however, is not all pervasive. Demand for trucks and buses as well as two wheelers, especially mobikes, remains strong indicating that the rural economy is still firing. Sale of two wheelers in the country in September was up 4.12 per cent. While scooters suffered a decline of nearly 3 per cent during the month, mobikes more than offset it with a 7 per cent growth. In the first half of the fiscal (April-September), two wheeler sales have grown a healthy 10 per cent. Similarly, commercial vehicle sales grew by over 24 per cent in September and nearly 38 per cent in the first half of the year. "The monsoons have been good and there is expectation of a bumper crop; that augers well for rural economy," Wadhera said. "Already demand in the hinterlands is strong. We are hopeful festive season will be strong too." For car makers at large, hope is the effective word right now.